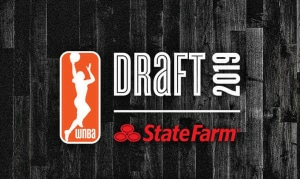 Aerial Powers was acquired by the Mystics on July 23rd in exchange for Tayler Hill and a 2019 second round draft pick. 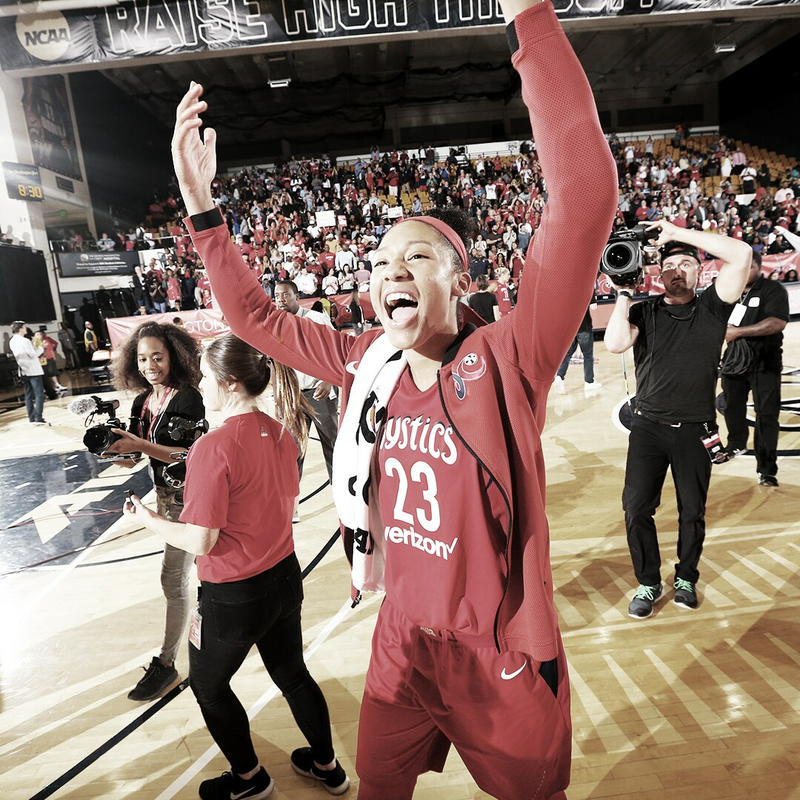 Powers provided a spark off the bench late in the regular season as the team fought for postseason seeding. 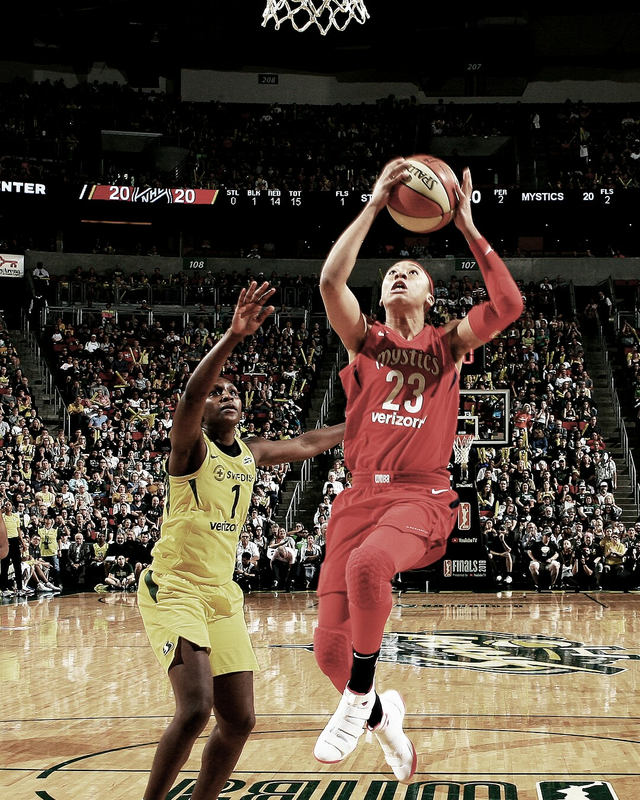 She also appeared in all nine Playoff games, including a game-high 18-point, eight-rebound performance in a Game 3 of the WNBA Semifinals against the Dream. 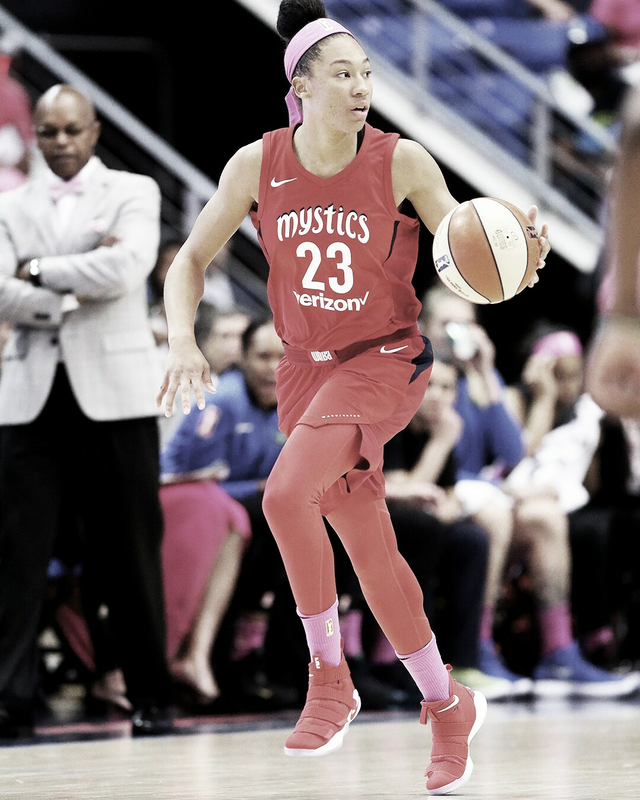 Scored 10+ points twice in her nine regular season games with the Mystics. 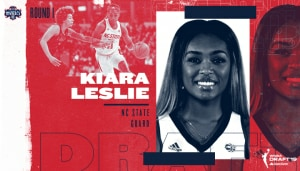 Led the team in rebounds once, grabbing six boards in an August 5 win over the Dallas Wings. Appeared in all nine of Washington’s postseason games. 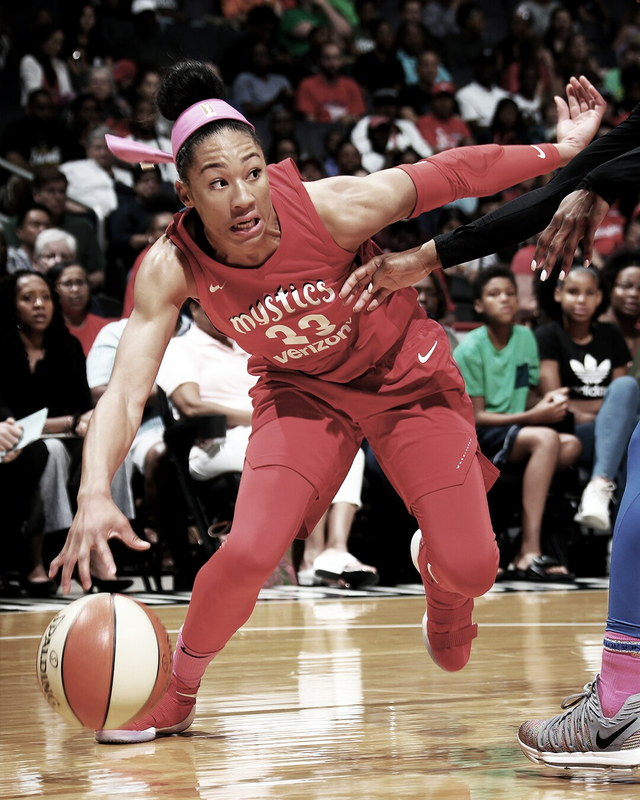 Ranked fourth on the team in offensive rebounds (12) and T-3rd in blocks (3) during the 2018 postseason. 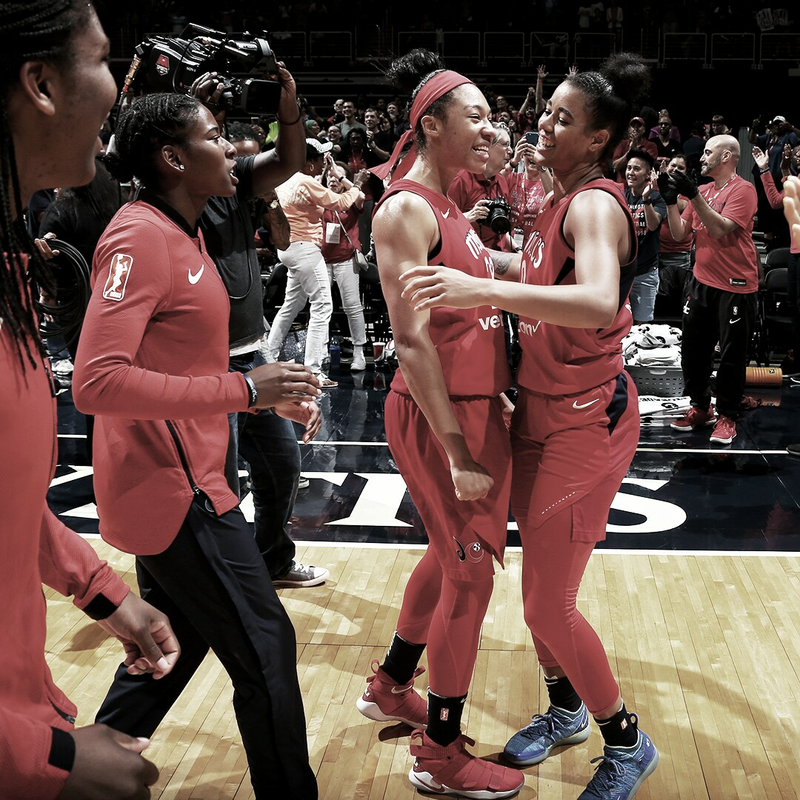 August 31 vs. Atlanta – In Game 3 of Washington’s postseason series with Atlanta, Powers scored a season- and team-high 18 points off the bench to go along with eight rebounds and three assists. 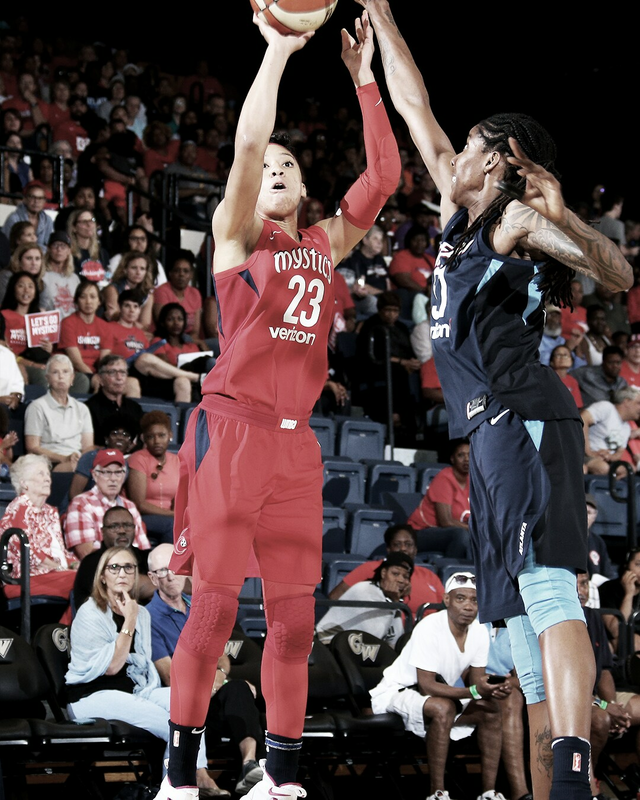 Powers also added a steal and a block was a +9 in 22 minutes of play. 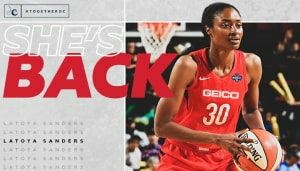 August 17 vs. Los Angeles – In the Mystics’ final home game of the season, a buzzer-beating win over the Sparks, Powers recorded her first double-double in a Mystics uniform (10 points, 10 rebounds) and converted on a season-high two 3-point field goals. 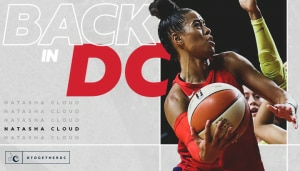 Powers managed the double-double in just 17 minutes of play. 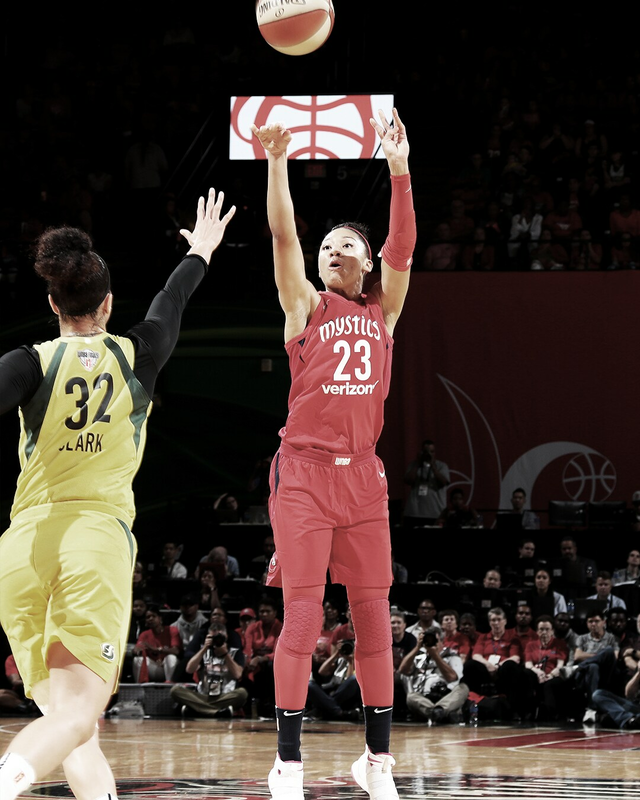 July 31 at Atlanta – In Powers’ second game with the Mystics, a road matchup with the Dream, the versatile forward tallied 10 points and six rebounds, shooting 3-6 (.500) from the field, 2-2 (1.000) from 3-point range and 2-2 (1.000) from the free-throw line. 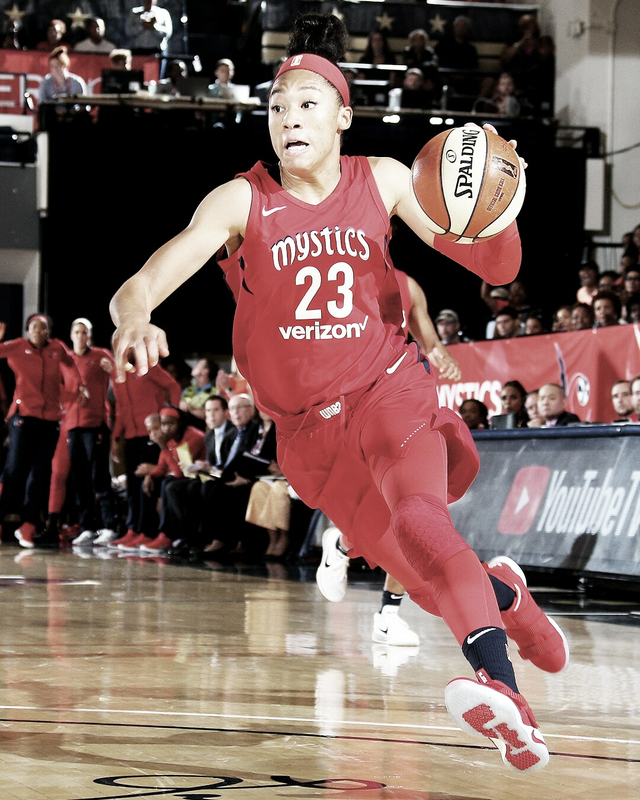 No way the Mystics are in this game without her. You can't come up with a better basketball player name than "Aerial Powers." Love the defensive energy Aerial Powers brings. Not too many cooler basketball names than Aerial Powers. 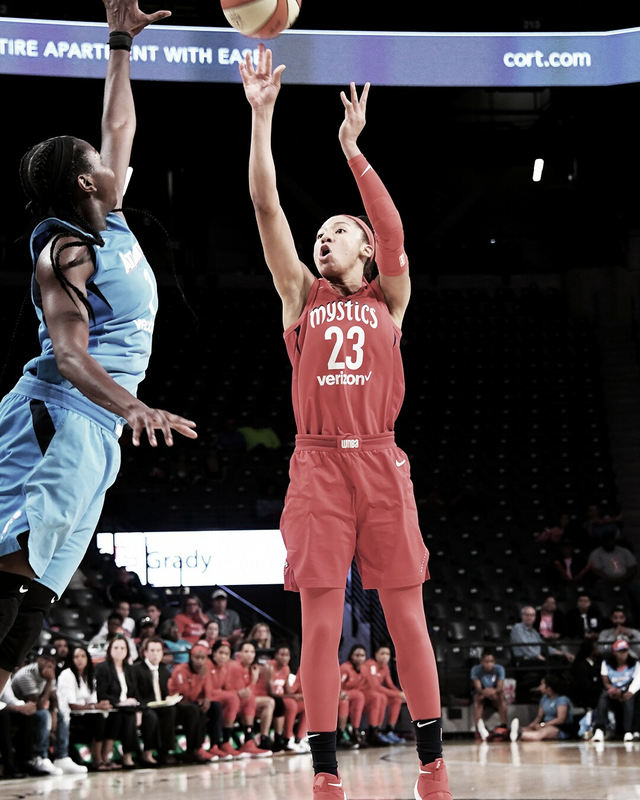 Powers is spending the offseason in China playing for Guangdong. 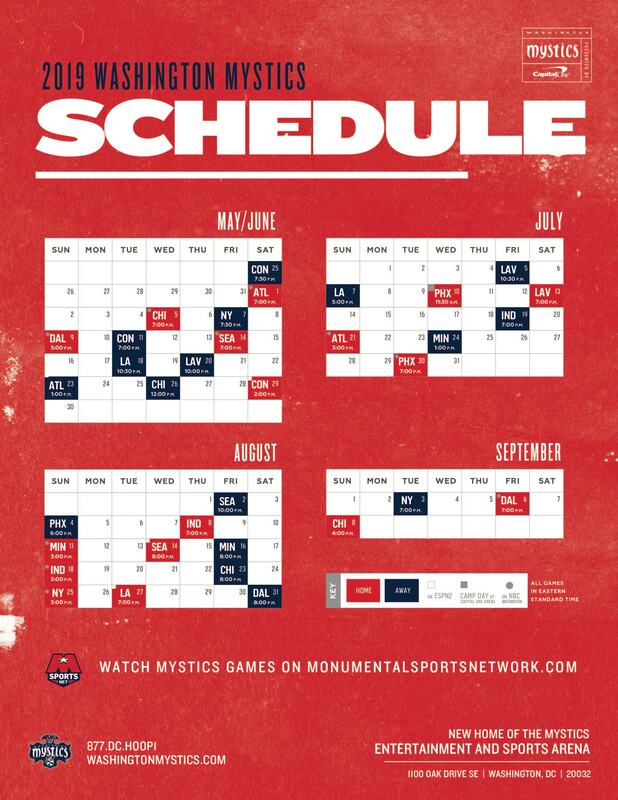 Check out our Mystics Abroad page for more info.